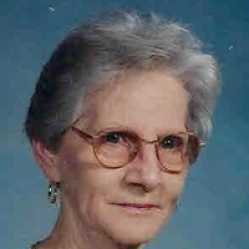 TRUMANN - Mrs. Mavene Baker Beaird, 83, departed this life on Wednesday, April 25, 2018 at the family residence. She was born Monday, September 10, 1934 to the late Lee Allen and Pearl Mae Phelps Baker and lived her lifetime in Trumann. She was a retired school teacher for the Trumann School District and a member of First United Methodist Church. She was preceded in death by one brother, L.B. Baker, sister-in-law, Jimmie D. Baker; half sister, Marsha Baker Miller; half brother, Joey Baker; niece, Janelle Ray; step-mother, Berniece Baker; step-father, Clay Hickman; and her parents. She is survived by her husband, Newt Beaird of the home; three half-brothers, Tommy Baker of Little Rock, Barry (Susan) Baker of Manila, and Kerry (Renee) Baker of Manila; nephews, Brad (Mona) Baker of Jonesboro, Brent Baker of Trumann; one niece, Patricia (Edwin) Hendrix of Little Rock; five great-nieces and one great nephew. Funeral services were held April 27 in the chapel of Thompson Funeral Home. Burial followed in Jonesboro Memorial Park Cemetery in Jonesboro, Ark. An online register book can be signed at www.thompsonfuneralhome.net.